Observer Apex offers a smart, search-based launch page that intelligently interprets users’ inputs, guiding them to one of three pre-engineered workflows to solve most IT service issues in less than three steps. 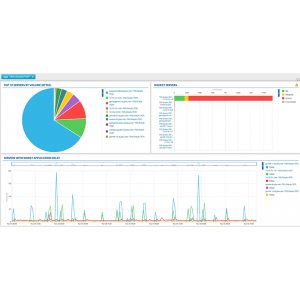 Observer Apex provides a centralized vantage point for performance monitoring and troubleshooting across all the Observer Platform. Begin at the Apex launch page with pre-engineered network, application, and unified communications (UC) workflows. Search by whatever variable or KPI is underperforming. Then, the predictive intelligence of Apex is designed to automatically narrow to the right workflow, and isolate root cause in three steps (or less).